Huawei was previously known primarily as a manufacturer of cheap Android smartphones, routers, surf sticks and other network equipment. By Mate S, the manufacturer would now definitely in the premium smartphone segment. A high-quality metal case, a very good quality and innovative software features to the customer to purchase more. 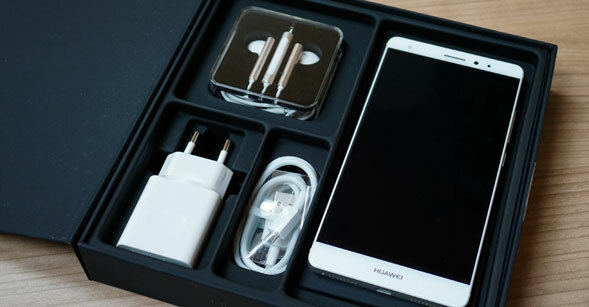 Huawei provides the Mate S in the colors gray and champagne and delivers it in a high-quality acting cardboard box. The package includes a protective case, a power supply, a USB charging cable and a headset. The case protects the device very well and allowed the display of information through a small window with the front closed. Huawei did everything right for the body: It not only looks extremely good, it feels also very well and leaves a very high-quality impression. The entire back is made of metal, at the sides, the device is flat, so it is still neatly in your hand in spite of its enormous size. 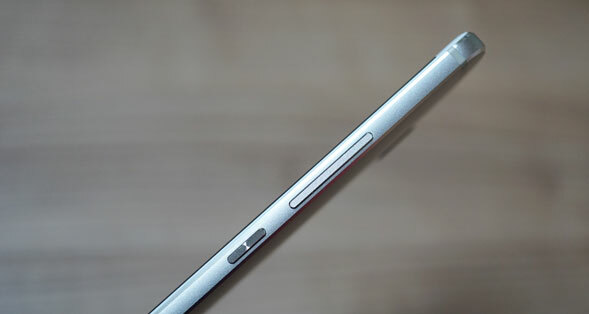 The entire front is covered with a laterally rounded glass, particularly in the use of swipe gestures is very pleasant. Next to the 13-megapixel camera, a fingerprint reader can be found, which is truly outstanding: The detection rate is very good and you can also use the sensor for gesture control to approximately scroll through galleries. 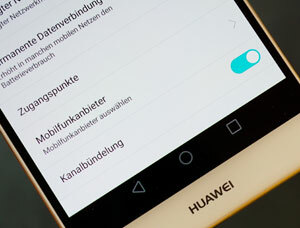 The Huawei Mate S we tested is a single-SIM version with combined MicroSD slot, the integrated memory of 32 GB and can therefore be expanded with a memory card. In other markets, there is also a dual-SIM version of the Huawei Mate S. The single-SIM version must be equipped with a nano-SIM card. The modem achieved up to 150 Mbit/s on LTE network, but may in the settings ” Carrier Aggregation “so LTE Advanced CAT6, are activated. This speeds up to 300 megabits per second in the downlink and 50 Mbit/s in the uplink are then possible with the Huawei Mate S. Of course, UMTS with up to 42.2 Mbit/s and GSM are supported together with EDGE. A bit of a shame: The Huawei Mate S can only use the 2.4 GHz frequency range at in the current WLAN standard AC, 5GHz is not supported. Given the high price that is incomprehensible, because other manufacturers already obstruct significantly cheaper smartphones with dual-band WLAN. The processor in Mate S comes from Huawei subsidiary HiSilicon and has eight cores, each with up to 2.2 GHz clock rate. Along with the Android operating system and the user interface EMUI, the unit was very quick in the test and allowed a smooth operation. A special feature is the absence of a separate app menu, all apps are right on the home screens, so as it is known, for example from the Apple iPhone. For many users, this is certainly a good thing, since it facilitates the operation. Of course you can also install another launcher on the Google Play Store, so that again a separate app menu is available. 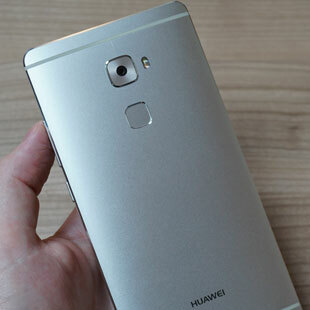 The Huawei Mate S has two cameras, one with 13 megapixels on the back and an 8-megapixel on the front. The back camera has an optical image stabilizer, a two-color LED flash and has an aperture of f2.0. The photos were sharp and true color included in the test, particularly convinced night mode with which even in twilight very useful pictures can still be taken. Videos can record Full HD resolution, but Huawei waived 4K video. 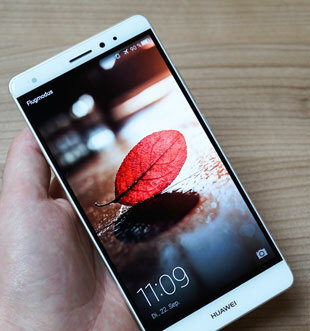 The AMOLED display of Huawei Mate S is 5.5 inches tall, has a resolution of 1920 x 1080 pixels and leaves a very good impression. In order to stand out from the competition, Huawei Mate S uses some software functions to improve the display. The so-called “Knuckle Sense” function allows you to take screenshots or the launch of Apps means knuckles. That works but not always reliable, sometimes the unit does not recognize the ankle and not performs the desired function. Another interesting feature is “Force touch”. Thus, the display should also recognize the pressure with which you press on the screen – something like the iPhone 6s and iPhone 6s Plus the 3D Touch technology. Unfortunately Force Touch is installed only in a premium version of Mate S, which is only available at some markets. The function would certainly have been interesting! When Huawei Mate S is a premium smartphone – at least if you look at design, workmanship, materials and price. The technology is high, and LTE modem and processor is convincing with great photos and the speed. But there are also some negative points: WLAN missing in the 5 GHz range and the Knuckle Sense technology, for the operation of the display with the knuckles, does not seem mature. The Huawei Mate S is now available at www.4gltemall.com stores and mobile operators. If you like it, you can buy it.